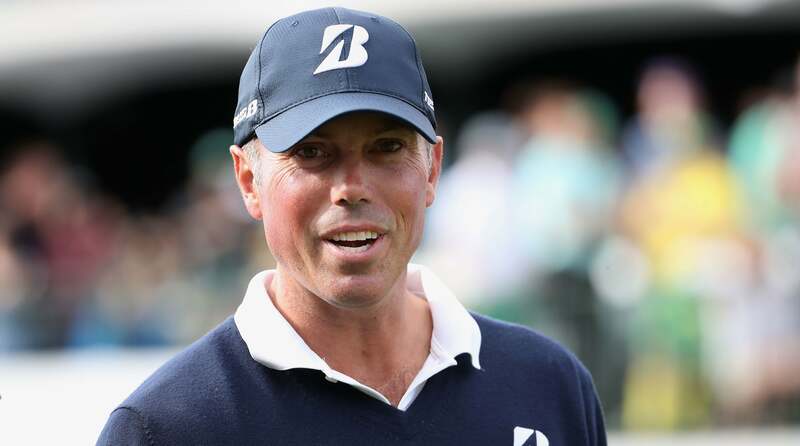 PACIFIC PALISADES, Calif. — Matt Kuchar, in an interview with GOLF.com Wednesday evening, said he is “disappointed” and “sad” that his $5,000 payment of his Mexican caddie, David “El Tucan” Ortiz, after winning $1.3 million last November in the Mayakoba Golf Classic, has led to such hurt feelings about what had been such a joyful, storybook win. Ortiz described his pay as $3,000 for the week, with the $2,000 as a down payment on whatever his bonus turned out to be. Kuchar was wet and tired after a Wednesday pro-am round that took nearly five hours to complete. He sat on a bench in the Riviera clubhouse and calmly explained his side of the El Tucan Affair for 20 minutes without his trademark smile. Matt Kuchar at the Waste Management Phoenix Open earlier this month. A winning Tour caddie can expect to receive 10 percent of his or her player’s winnings. In this case, that would have meant $130,000. For a club caddie at a resort accustomed to making $100 to $200 a day, that would be a monumental sum. Ortiz said in a recent phone interview that he was given an envelope on Sunday night after the tournament with cash in it. He counted it only after Kuchar left, he said. In an interview shortly after the November tournament, Ortiz said he still expected to receive a bonus check for winning. He did not think he had been paid in full. Kuchar’s point Wednesday night at Riviera was that in his mind he had already paid Ortiz more than the agreed-upon amount. Ortiz said he would not be interested in working for Kuchar again, even though he described him as a “good person and a great player.” About 10 weeks after the Nov. 11 event, Ortiz was offered an additional $15,000 bonus, which he refused. In an interview he said, “No thank you. They can keep their money.” He said he felt a $50,000 payment would have been fitting. Kuchar said it was always his intention to bring his regular man, the veteran Tour caddie John Wood, to Mayakoba. The notion that Ortiz would work the tournament when Kuchar defends later this year “was never going to be a thing,” Kuchar said. “I think people know me well enough to know I wasn’t trying to get away with anything, that is not how I operate,” Kuchar said. He said some players were giving him a hard time about the caddie-payment debacle, “as I would them.” Kuchar has a reputation for having the needle out and talking smack during practice rounds. Kuchar said he did not really understand why the pay dispute has turned into such an emotional issue. Told that a $5,000 caddie payment on a $1.3 million payday seemed frugal, he nodded, but indicated he had a different view. Kuchar, the player ranked 10th on the all-time Tour money list with $46 million, has his own answer. He paid $5,000. Had he paid $50,000, you’d be reading something else. And had he paid $130,000, he’d be a legend at Mayakoba, and in caddie yards far and wide, forever.